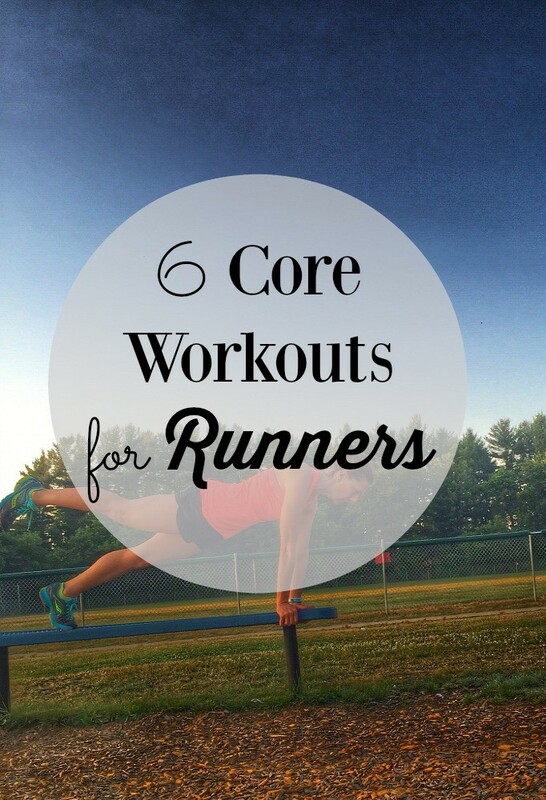 Have you heard about the importance of having a strong core as a runner? Well, it’s true! 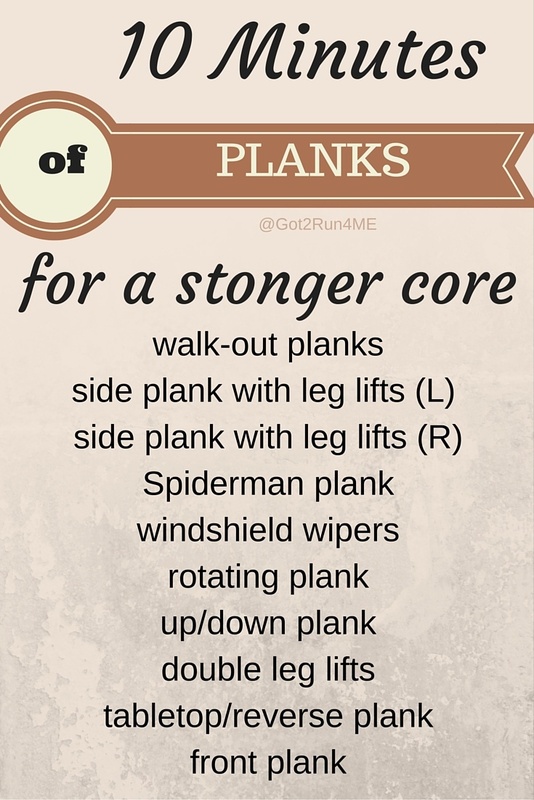 If you want to improve your running, it’s crucial to have a strong core! Your core is made up of not only your abs, but also includes your obliques, lower back, and hips. Having a strong core gives you the stability you need to maintain proper running form and ultimate prevent injury…good stuff, right? So I’ve put together a roundup of core workouts and exercises that will help you get stronger as a runner. These workouts are quick but very effective, and you’ll definitely feel the effects the next day! In 20 minutes or less, you’ll be on your way to a strong core! And guess what, you’ll be doing a lot more than sit-ups and crunches! 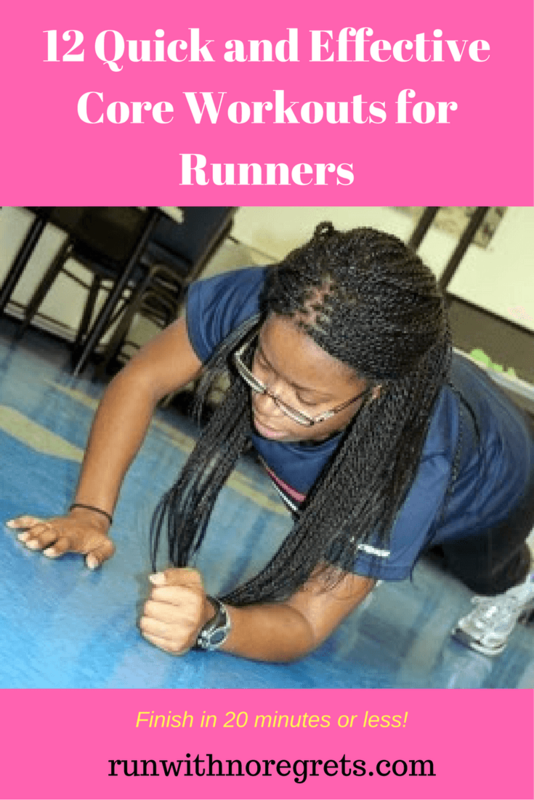 I’m linking up with Susie, Debbie, Lora, and Rachel for the Running Coaches Corner and Annmarie, Nicole, Jen, and Michelle for Wild Workout Wednesday! Check out their sites to find new workouts to try and lots of great running and fitness tips! Do you enjoy working on your core? I have a few favorite moves that I like to do like mountain climbers, but I still find some exercises to be very challenging, especially if they require a lot of work from the lower abs (V-ups, anyone?). Sometimes I want to give up when the shaking begins, but it’s so important to work through it. It really does get easier the more frequently you do it! I’ve rounded up awesome core workouts from some great health and fitness bloggers for you to choose from with a ton of variety! You can try doing these exercises on a cross-training day or even incorporate them after your run. The more you practice these moves, the easier it gets and the stronger you’ll get…so don’t give up! The great thing is that these workouts can be done in 20 minutes or less, so you’ve got plenty of time to knock them out! Check out each link to get detailed instructions on how to do the moves correctly. Sarah always has great workout routines…this one would definitely have my hurting the next day! If you’re looking for some plank variations, Coco has got you covered!! Laura put together a great roundup of core workouts of varying complexity…definitely worth a look! Have you heard of the DVRT Ultimate Sandbag? It’s a great tool that you can use in a variety of ways to take your workouts to the next level, and Annmarie shows you how to use it effectively for your core! If you’re really time-crunched (no pun intended), check out Lea’s workout that is full of plank variations and bridge work! Janice’s core workout incorporates a lot of moves that I’ve done in my yoga classes. They may “look” easy, but they will challenge you! What are your favorite core exercises? Which ones do you struggle with the most?